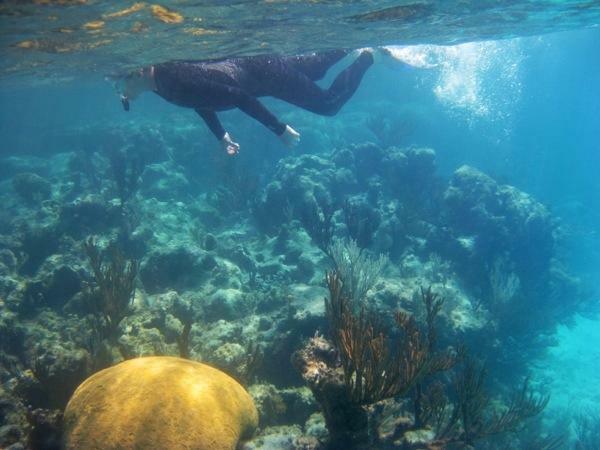 Hitch a ride on the GoPro train for an underwater exploration at Conception Island, Bahamas! 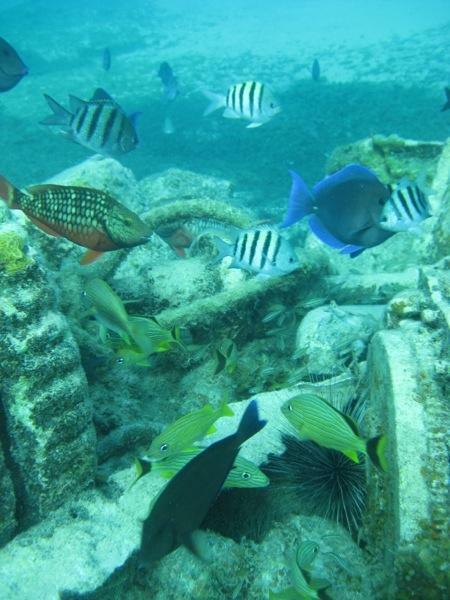 Keep your eyes on the lookout for a lion fish, two nurse sharks, and a few parrot fish. 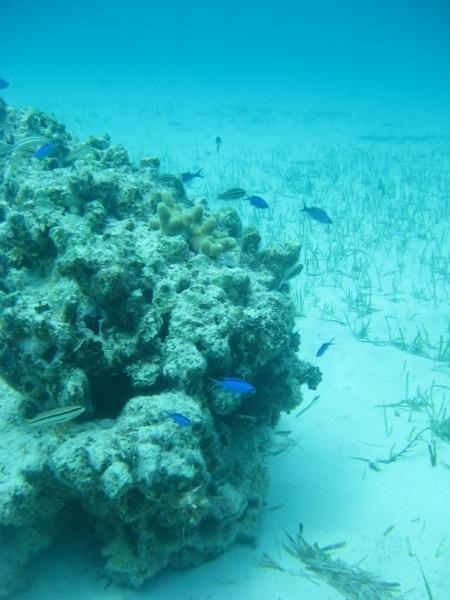 The water here at Grand Cayman is BEAUTIFUL! From our mooring ball we can look down and clearly see the bottom 40 feet below. 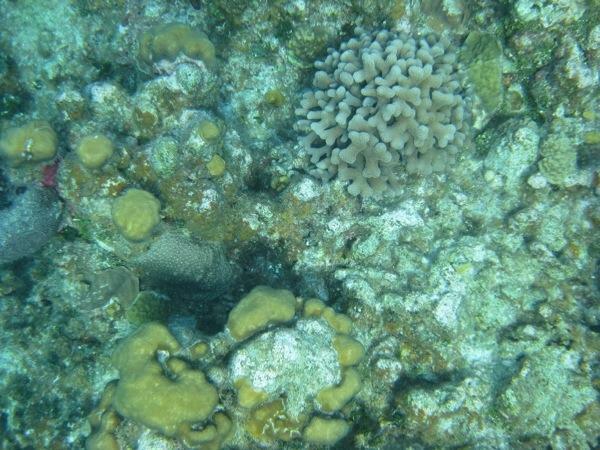 There is a small reef directly under the boat that I took a long look at while scrubbing Rode Trip’s bottom, but I was long overdue to go explore the reefs. I hopped in the dinghy and headed over to Serendipity to pick up Matt. We headed to the far south end of Georgetown harbor and tied the dinghy up to one of the numerous mooring balls on the reef. 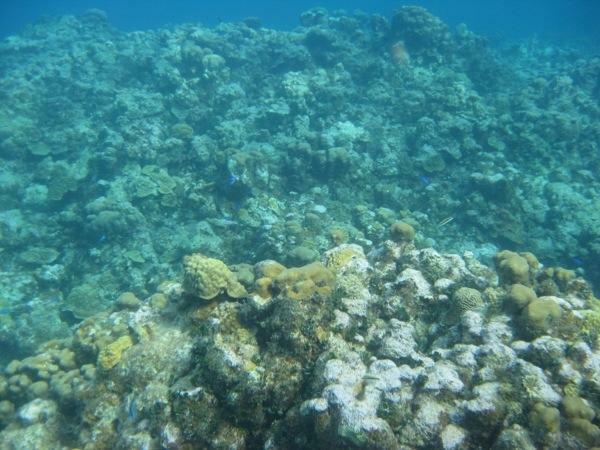 The reef here was completely different than under Rode Trip. 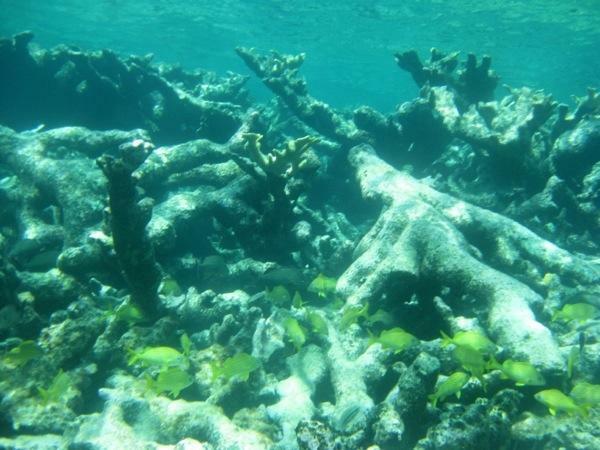 The sandy bottom was only about 15 feet down and the coral reef came up nearly to the surface in places like mountains reaching up from the bottom. 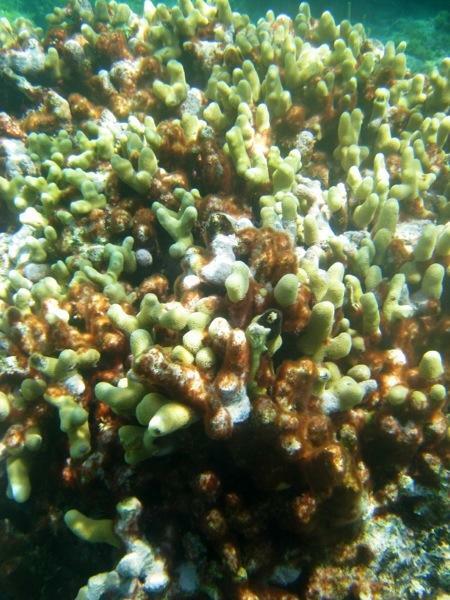 The reef was huge and the coral was colorful and healthy looking. 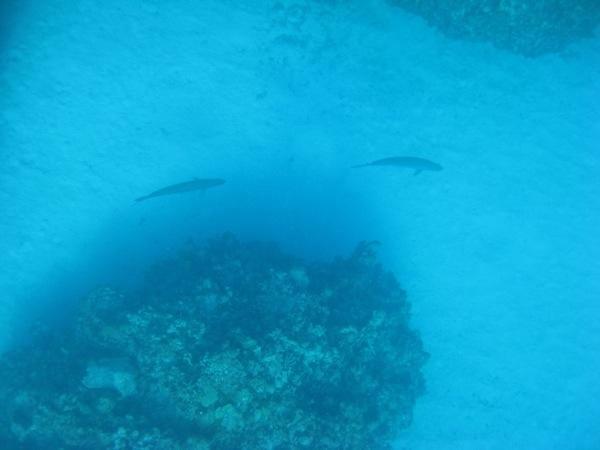 There were deep canyons and crevices with fish lurking in them. The largest fish we saw were tarpon that were about 3-4 feet long and they were patrolling the deep sand canyons. 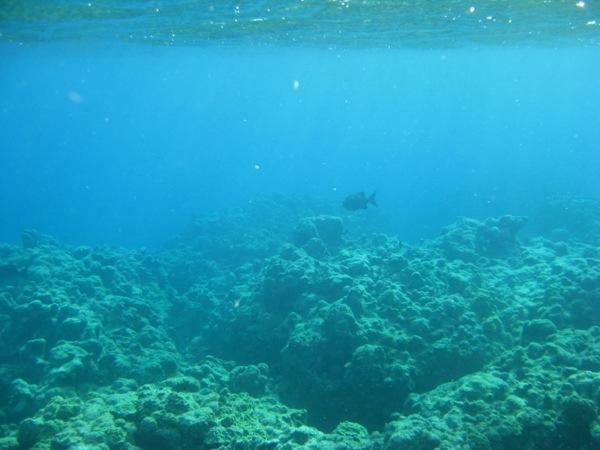 It felt like flying as we circled over the reef and headed out to where it dropped off to about 25 feet of water and the bottom became sandy. We even dove down and peeked into the caves near the bottom. We may have surprised the SCUBA divers who were coming out of one of the caves. 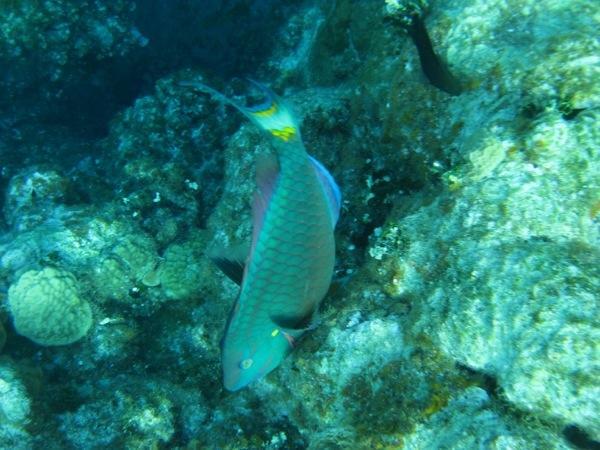 The parrot fish were everywhere and not shy at all. They went on eating even as we approached as close as we wanted. We headed in to shallower water and found a small school of squid near shore. As we approached we startled them and they changed from red to white and back to red before taking off. 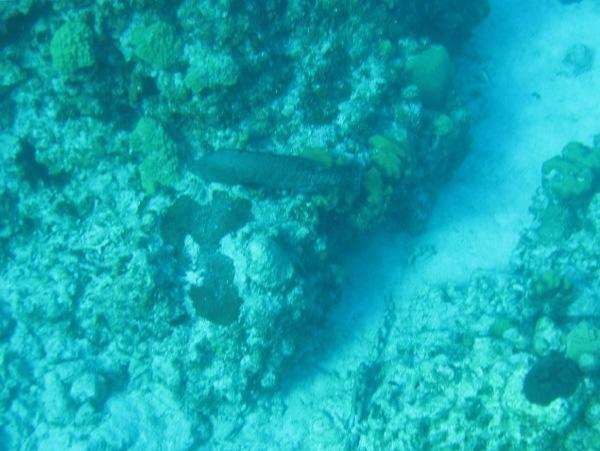 On the way back to the dinghy we spotted a big grouper eyeing us from the bottom. Once we climbed out at the dinghy we decided we were still having fun and wanted to stop at another location on the way back towards Serendipity. The “wreck of the Cali” is a highly advertised location here in Georgetown so we thought we would check it out. 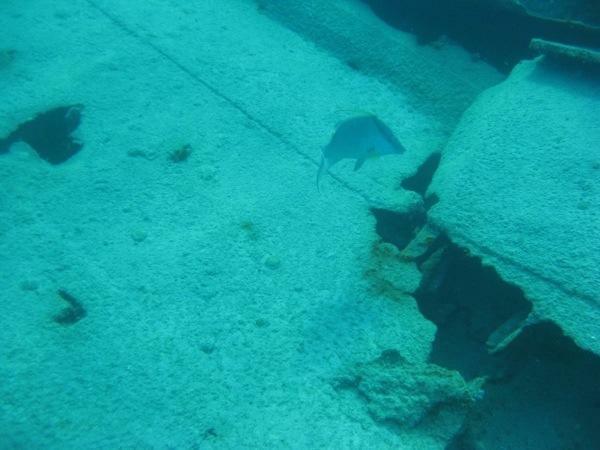 Lots of restaurants and bars have free access from their decks where you can rent a locker or snorkel equipment and then swim 300-400 feet out to the wreck. We were in the dinghy so we didn’t have to walk past the deck bar wearing our flippers and mask, although in hindsight it may be fun to climb out of the water at one of the deck bars, have a drink in full snorkel attire dripping wet and then return to the water merman style to return to Rode Trip…maybe that will be tomorrows adventure. 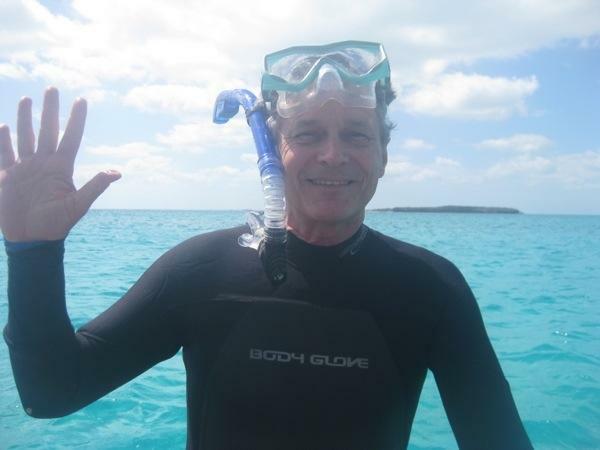 After grabbing an empty mooring ball we dove in and swam over the entire 200 feet of the wreck. 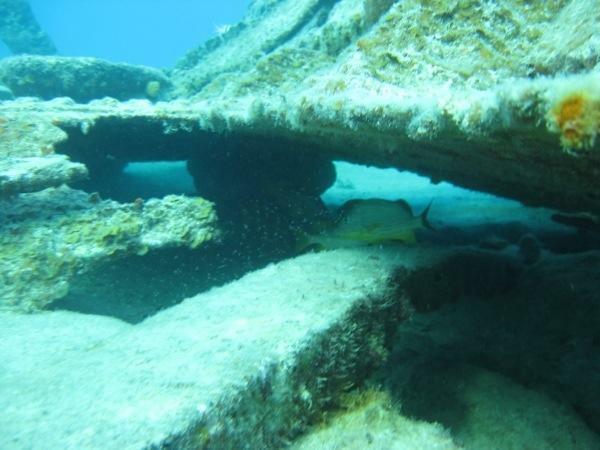 The fish here were a hiding out under the old steel plating. This fish made me wish that spearfishing was allowed here! I really like hogfish. 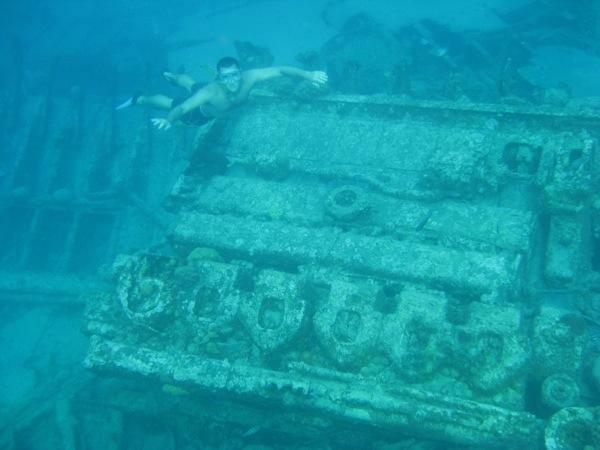 We ended our wreck tour with the giant engine of the ship. Once again, Brian and I braved the “COLD” for some exploring during Bruce and Kathy’s visit to Rode Trip. The sun was shining today, but the persistent north – northwest winds continued throughout the day. 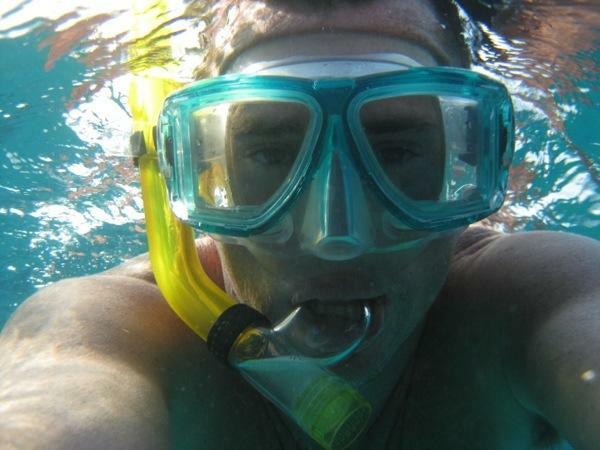 One of the activities we looked forward to at the Exuma Land and Sea Park was snorkeling. 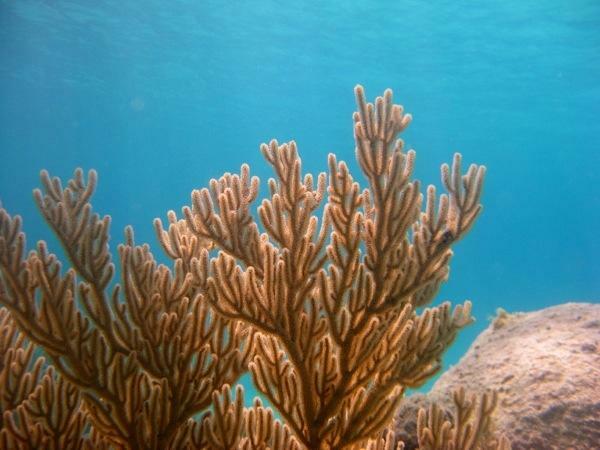 Fortunately, the Coral Garden located on the Sound side of the cay was well protected from the wind. And so we headed out to explore. Bruce, Brian, and I jumped into the water after we suited up in wetsuits. When we had our fill, Kathy chose the drier route. 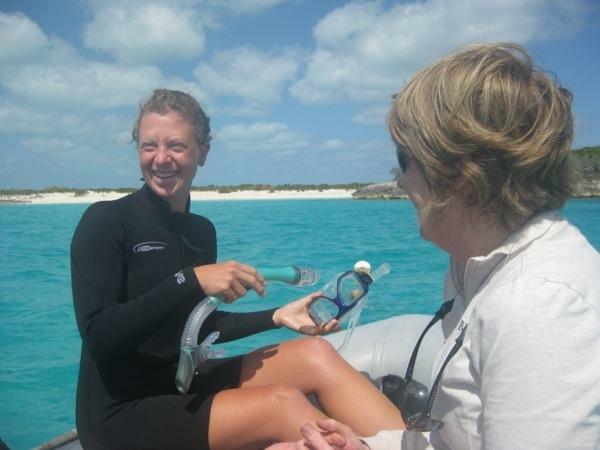 She put on a mask and looked over the side of the dinghy while Brian steered us down the reef with the current. It was beautiful!